Yesterday was my first experience of Independence Day whilst on American soil (I have only been here 9 weeks after all), and it was an interesting experience. I think it’s fair to say that the whole thing is pretty much lost on us Brits and although we very well could celebrate the 5th of July as being the day we became rid of y’all (just kidding!) it doesn’t really factor for us. As I sat outside after dusk, watching far away fireworks and cheekily supping a can of Goose Island, I spent a few minutes thinking about this – to me at least – crazy holiday. I say crazy because there isn’t really anything comparable for us in Britain, save for the occasional Royal happening, and I don’t tend to get too very excited about such events. 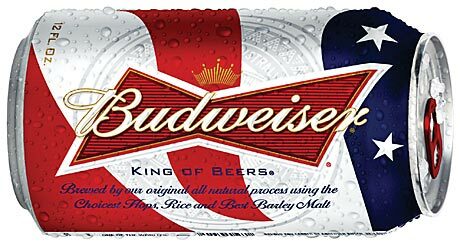 So as a ‘limey’ living in the ‘land of the free’ I had genuinely mixed feelings about the whole 4th celebrations: on the one hand I felt almost glad to be detached from the cheer and patriotism (it’s just an excuse to set off fireworks and drink Bud, right? ), but at the same time there was a tinge of jealousy at how this day brings friends and families together to eat, drink, and be merry. There seems to be this unequivocal sense of belonging; that the 4th of July is a day to kick back, have fun, and enjoy being ‘merican, and I can pretty much get on board with that (except the being ‘merican part. I’m English, don’t you know.). Budweiser helpfully change their cans to mark the occasion. Thanks, Budweiser. I have to confess at this point that I have performed my own casual observations of Independence Day over the past few years, namely as a sales tact. In fact, that’s probably the only way you’ll encounter any mention of it over the pond. 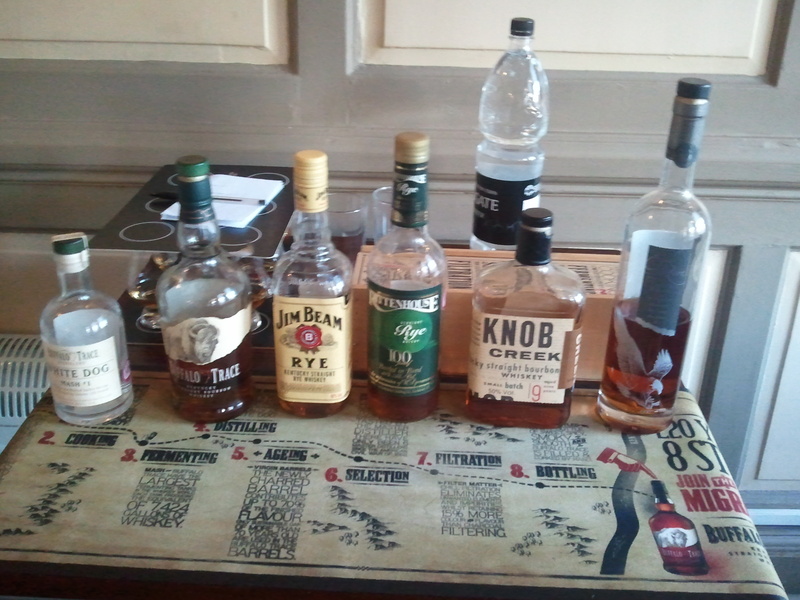 As a whisky salesman, we would lend some extra focus to our American whsky selection in the days leading up to – and the weekend following – July 4th, and there was even a decent chance there’d be some kind of American whsky tasting to nicely coincide as well (here’s one I went to last year, hosted by my buddy Joe). I don’t feel any shame at looking at the day in this regard, though. On the contrary, it seems to me like a good excuse to focus on American products. In terms of whsky, there’s a lot to celebrate in America. As well as having one of the world’s best established whsky industries – including whsky that is totally and utterly unique to the country – there has been a wave of small, independent, ‘craft’ distilleries opening up over the last few years. Like the ‘craft beer’ wave that has been rolling since the ’70s (thanks, New Albion Brewing Co.), small distilleries producing ‘artisnal’ spirits that have been steadily winning awards, and have even been found making waves in foreign markets (the UK being one). 2) Bourbon can be produced anywhere in the US, although most Bourbon distilleries are located in Kentucky. Enter Rock Town Distillery, the first legal distillery in Arkansas since prohibition (“the first legal distillery in _____ since Prohibition” is becoming quite a popular phrase). They produce a range of different products including vodka, gin, Rye, and Apple Pie Lightning – apple pie-flavoured moonshine! However, the only product currently available here in PA is their take on the American classic, which uses wheat as the secondary grain. As with many other craft distilleries, Rock Town use very small casks to mature their spirit, which essentially means that the whsky takes on characteristics from the wood at a faster rate. So whilst the label might state that this is a “young” Bourbon, don’t be fooled into thinking that it’s not tasty. In fact, it recently won a Gold Medal at World Whisky Awards in London. Bravo. Next stop: Pittsburgh, where the Wigle distillery is doing its bit in bringing rye whsky back to its spiritual home – Pennsylvania. The distillery (pronounced “Wiggle” by its founders, or perhaps “Veegle” if you’re that way inclined) is named after a man who allegedly helped spark the Whiskey Rebellion by getting into a “tussle” with a tax collector. Wigle’s main line is in ‘white spirits’ – which means they haven’t been aged in oak casks – and they offer White Wheat and White Rye alongside Genever (Dutch-style gin), all produced from local, organic grains. Every few weeks they also offer limited edition variations of their whsky aged for a short time in a variety of casks, including Maple, Cherry and Hickory. Unless you happen to visit the distillery (where you can pick up a very cool barrel-aging kit to age your white spirit at home), your best bet for trying Wigle is to pick up the White Rye online. It’s a good sipper, and also great for mixing or cocktails; and if nothing else it’s a great nod to what whsky would have been like way back when Pennsylvania distillers went up against George Washington’s troops. Sticking with Pennsylvanian whsky, and specifically Pennsylvanian Rye, there’s Dad’s Hat. Based in Bristol, PA, Mountain Laurel Spirits Llc was founded in 2010 and they produce a range of expressions of their Rye whsky, including a white Rye. Unlike the vast majority of rye whskys – which use a minimum 51% rye along with other grains – Dad’s Hat is produced 100% from rye, utilizing both malted and unmalted grain to produce a very pure style. A portion of the White Rye spirit is aged for a minimum of 6 months in quarter-size casks, which are bigger than the barrels used by many other independent distilleries. The result is a classic Rye that is well worth seeking out. Number four on our list is New York’s own – New York state, that is – Tuthiltown distillery, whose spirits include the largely ubiquitous vodka and gin, plus an aged rum and a series of whskys under the ‘Hudson’ label. New York Corn Whiskey is their take on moonshine (or White Dog, White Lightning, whatever) and their aged whskys include Baby Bourbon, Manhattan Rye, and a Single Malt (which is quite different from malts you might have tasted from Scotland or elsewhere). However, my tip is their Four Grain Bourbon, which aside from being the second non Kentucky-produced Bourbon in the list, it’s also quite unique for utilizing all four grains in its production (corn, rye, wheat and malted barley, if you needed a reminder). You’d be forgiven for thinking that there’s a danger of the four grain element cancelling one another out, but there’s actually something really harmonious about the finished product: the spicy rye notes stand out but there’s some soft, sweet notes at play. Bourbon fans looking to try something different should definitely take a look (and don’t be put off by the ½ size bottle!). Speaking of unique Bourbons… how about Angel’s Envy? The brainchild of a man named Lincoln Henderson, who worked for American whsky company Brown-Forman for 39 years, meaning that he has been responsible for a huge host of American whskys including Jack Daniels and Woodford Reserve. More recently, he’s been involved with the Louisville Distilling Co., who first released the small batch Angel’s Envy in 2010. This whsky starts out as genuine Kentucky Straight Bourbon – matured for 4-6 years in American oak casks – before being transferred to ex-Port wine casks for a second period of maturation (around 3-6 months). This is pretty unusual, as the concept of “finishing” a whsky in a second cask while common elsewhere in the world is relatively new to the American scene. This secondary maturation really adds a new dimension to what might be expected of a Bourbon, with the sweet, fruity notes of Port making themselves known. And the name? Well, you might have heard of the term ‘the angel’s share’, which refers to the alcohol vapours that are lost during maturation… their envy being what was bottled. Cute, huh? BUT WAIT! WHY STOP THERE? Balcones is pretty big news as craft distilleries go, having won plenty of awards – not to mention the favor of many new fans. Based in Waco, TX, the distillery was founded by Chip Tate, who sought to craft an actual distillery; the equipment was hand-built and installed by Chip and his team. As a long-time home-brewer turned independent distiller it’s no wonder that people love Balcones so much– it’s like a beer and whskys drinker’s fantasy! You won’t find gin and vodka produced by Balcones, but their range manages to have quite some variety. Brimstone seems to grab a lot of the attention, and it’s certainly hard to ignore with a very unique barbeque flavour on top of the sweeter, nuttier notes from the New Mexico-sourced Hopi blue corn favored by the distillery. The smoky flavour is derived not from smoking the grain – as per the ‘traditional’ method favored in Scotland – but by smoking the spirit itself over Texan scrub oak prior to being filled to cask. Then there’s the Single Malt, which was the focus of a good deal of attention earlier in the year when it won the Best in Glass award in the UK. Rumble offers a touch of the unusual, and the hint in the name that this might be a sweeter spirit is confirmed by the fact that it’s distilled not from grain, but from other local ingredients, namely “wildflower honey, mission figs, [and] turbinado sugar”. It’s unusual but delicious! My top tip, however, is to go for what might be described as their ‘standard’ offering, Baby Blue. The name refers to the roasted blue corn meal that it’s distilled from, and the fact that it isn’t matured for very long before bottling, meaning it sits somewhere between “traditional” corn whsky (i.e. moonshine) and a young Bourbon. One thing’s for sure: it’s a fantastic, full-flavoured whsky. There’s also a cask strength version called True Blue, which has not been diluted prior to bottling; it needs a drop of water at the very least, but the experience is worth the extra $$$ in my view. p.s. I can’t very well mention Balcones without also mentioning that their wonderful whskys are distributed in my homeland by my very good – and much missed – friends at The Great Whisky Company. Also ‘ave a gander at their sister company The Whisky Lounge. Another much-hyped craft distillery is Nashville, TN-based Corsair. In a state that’s home to the big bad of American whsky it’s a brave – but badly needed- move to open a small “artisnal” distillery there. Their products couldn’t be further from plain ol’ Jack, however. In fact, as they put it: they produce “booze for badasses”. Their range is pretty extensive and includes gin, vanilla bean vodka, red absinthe, and spiced rum alongside some pretty creative whsky products: their Pumpkin Spice Moonshine takes the somewhat pervasive concept of pumpkin beer to the next level, whilst Quinoa Whiskey is distilled from a mash that includes red and white quinoa grains alongside malted barley. Then there’s the Rye, which is called Ryemageddon; let’s face it, why wouldn’t you buy it? My recommendation, however, goes to arguably their most famous product: Triple Smoke. Like, Balcones’ Brimstone, Triple Smoke is one of a number of American whskys hitting the shelves that features a smoky characteristic and, like Brimstone, the method doesn’t exactly follow the Scotch blueprint for smoky whsky. Three seperate portions of malted barley are used in this single malt, each one smoked by a different fuel: the Scottish choice, peat; Cherry wood; and Beechwood. Crazy, huh? This is also a single barrel release and the batches tend to sell out pretty quickly. Don’t think about it too long! Of course, that’s only a small chunk of what’s out there, and this helpful list from Whisky Advocate features all of the known craft distilleries in America. In signing off, let me share a good piece by another Brit living in the USA.